Promenade 23, a luxury property in Seattle’s Central District, was recently acquired by Vulcan Real Estate for further development. 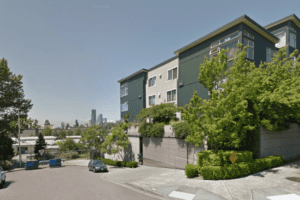 Purchased for $30.9 million, this high-profile complex on the east side of 23rd Ave South in Seattle will be rezoned and redeveloped into a residential and retail project. Currently, the area is divided into two lots, one of which is home to a Red Apple Market. The new project will offer two mid-rise buildings housing over 570 apartments set to begin construction in 2017. The 6-acre property was last sold 5 years ago for $18.4 million and now, the north side is also set to have some redevelopment at some point. Currently, this property is home to a Walgreens and Starbucks. Construction should begin mid to late 2017 if everything goes as planned on the apartment complex. This is Vulcan’s first Central District project. Vulcan, owned by Seattlite Paul Allen, has plans to expand beyond South Lake Union in the next few years. Vulcan has sold just under $3 billion worth of assets in recent times and much of this money is set to invest in new projects around the Puget Sound region. The Central District is becoming one hot Seattle neighborhood. Not only is Promenade 23 in the works, but the city of Seattle has signed off on new apartment projects about 12 blocks north of the Promenade. Lake Union Partners will be adding 144 apartments to this corner and new construction is likely on the large lot where the MidTown Shopping Center operates, which is currently for sale. Up until the last year, the Central District has been among the least popular neighborhoods for real estate developers, but not, gentrification has turned the community around and with big developers moving into the neighborhood, it will be more appealing to other real estate developers. Cost is also a plus for the Central District. 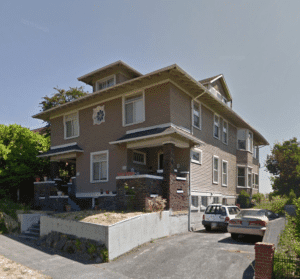 Shopping, transportation and freeway access is fairly easy from this location and rent is less than neighboring areas by $50 –$100 a month for similar properties. Up until this new project on 23rd Ave, Vulcan only has invested in Yesler Terrace, a First Hill public housing project, which is currently under redevelopment itself into about 650 apartments. To learn more about purchasing a home or real estate investment in the Central District neighborhood, please contact Mary Pong today at 425-829-3417.